and help cultivate Greater Boston’s network of global citizens by supporting our nationally-recognized education programs. 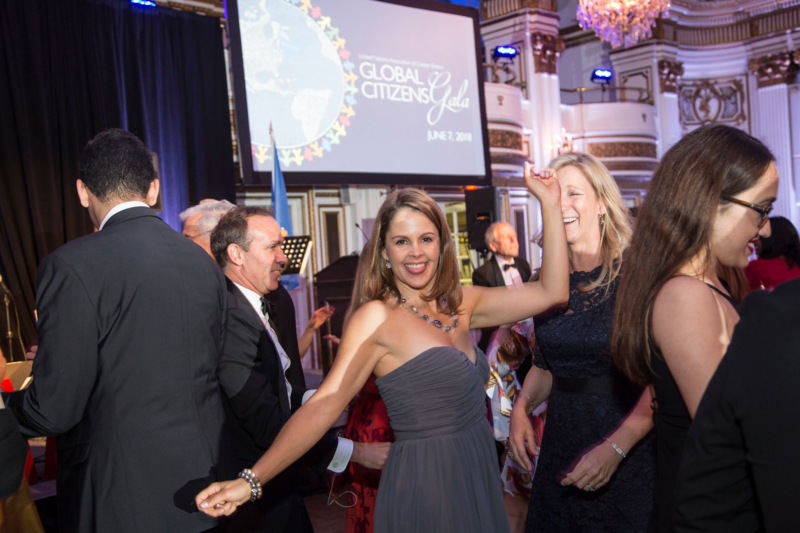 Our annual Global Citizens Gala is an elegant, high-spirited evening celebrating the many cross-cultural ties that enhance our area’s international character and engagements. This evening is the premier international gala of the year, bringing together over 300 local diplomats, business leaders, academics, as well as cultural and nonprofit communities. Together, we will celebrate Boston’s diverse international network. Black tie optional – National Dress encouraged. We organize this signature event annually to honor Consuls in our community – the local representatives of more than 60 UN Member States – and to highlight our mission of promoting global citizenship. Proceeds from the gala will help give more than 5,000 middle and high school students the opportunity to learn about global issues and enhance important life skills through UNAGB’s Model UN programs. In Model UN, students (or “delegates,” as we refer to them!) step into the role of diplomats negotiating solutions to complex global issues, such as human rights and climate change. Students leave with the ability to communicate, collaborate, and problem-solve important global issues and are inspired to be the leaders of tomorrow. Interested in making a difference and supporting the next generation of global citizens in Boston? Please review our sponsorship information and consider helping us bring this fantastic education program to more students in the Greater Boston area. If you wish to make a donation to UNAGB but are unable to attend the Global Citizens Gala, please click here!